● Take all the clothes out: Remove the hangers from your clothes and put everything on your bed. ● Decide what you use often: Select the clothes, under-wears, and shoes that you wear mostly and separate them in a corner. Basically, if you wore something in the recent months, put it in this group. ● Decide what to store: Select everything that you won’t use anytime soon. They might be special occasion costumes or seasonal clothes you cannot wear in the current weather. This group can also include memorial items like a bridal dress or a gift you don’t want to wear out. Put all these items to another corner. ● Closet Cleaning: After you empty the whole closet, you should clean the interior. With time, many types of microorganisms and insects become nested in your closets. So, sweet and vacuum all the shelves and the floor, then use some cleaning products to make it more sanitary and smell good. Now, it is time to put your clothes back in the closet. ● Hangers: Try to use as many hangers as possible for your “often use” group. Hangers are good for quick access and keeping your clothes wrinkle-free. Also, clothes on hangers won’t get the fuggy odor that folded clothes can get after a while. ● Organizing hangers: You can order hangers in groups like t-shirts, tank tops, sweaters, etc. If you have different types of hangers, assess these types with clothing types, as in wooden hangers for shirts, blue hangers for gym clothes, etc. It is even better if you make a color ordering in clothes too, like a rainbow spectrum. This would make finding particular items so much faster. Also, the look will be much tidier. ● Separators: For shelves and drawers you can use separators to organize your items. Separators are useful for making use of the areas normally you can’t use while preventing the piling of items. Grid-shaped organizers for closet are generally best for the drawers, but you can use the same style vertically in the shelves as well. Usually, you can buy pre-made separators for quite cheap. Or you can make your own DIY separators out of cardboard pieces or small boxes. You can find very useful Organizers for Closet in the market or internet. ● Shoe boxes: You can use shoe boxes for not only shoes but for every item, you want to store but access easily. Since most shoe boxes have similar dimensions, you can arrange them like a wall and access each one like a drawer. Writing small notes on the boxes’ front facing side is extremely helpful in finding the items when you need them after a while. ● Containers: The best way to organize these items is using large plastic containers, sealed covers, as the easiest organizers for closet. Covers are the key to keep items safe from insects and mold. Try to get rid of all unnecessary paper-based items or at least don’t put any paper together with other items. Because the paper will feed insects that are harmful to your clothes. It is best if you can use separate boxes for different types of items. Items like the CD box, winter clothes box, or magazines box. And if you use similar sized transparent boxes, both organizing and finding items will be much easier. ● Folded clothes: After you used all your hangers you probably will have a lot of clothes that you will need to fold and put on top of each other. But it will create difficulties to keep them easily accessible and properly folded. 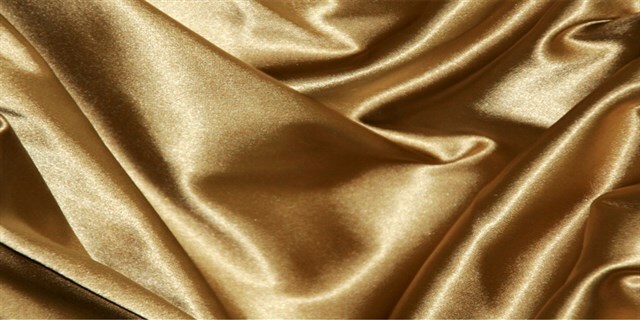 So try not to create high columns of these folded clothes on your shelves. You can divide your shelves horizontally by putting some boxes side way up, and put your smaller cloth piles in them. For drawers, you can roll your folded clothes and sort them side by side to easy access. This is mostly handy for under-wears and socks. ● Mirrors: You can hang or hot-glue some small around the inside of your closet. This will give more light and shine around the interior. Even better, you can hang a large mirror to the inner side of the doors. This is both practical and looking good. ● Curtains: You can hang some small curtains made out of light clothes, tulle, bead or nets in front of some shelves. This will hide the chaotic look and of storage and create a more organized look. ● Paint: After you empty the closet at the start instead of putting your staff back right away, you can paint your closet or just the certain areas of it. For example, if you paint the inside of a dark colored closet with a bright color like white, it will make visibility inside much better. While you can paint the whole closet to a new color, you can also paint different shelves into different colors and create a personalized look. This may even be useful for color-coded organizing. ● Images and photos: If you have funny pictures that make you smile every time you see them, you can stick those pictures around in your closet. These may be the photographs of your family, your friends, your pets, or the funny photographs you found online as well as artistic ones. Also, having some motivational quotes, images and sentences in your closet can help you to start the day better. 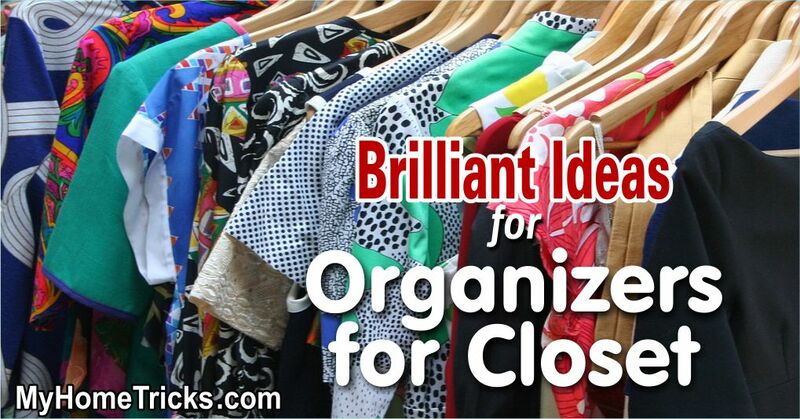 ▌ Tip: Here, we have discussed some basic examples of good ideas for organizers for closet, you might need at home. We have just addressed the simplest solutions to this storage problem. For more information on organizers for closet at home, please click on the “tags” below. Note: For this article, "images of tetanus in humans and animals" term(s) have been used in searchs.